95 percent of the soldiers with the Northern Fleet are now on professional contracts, following a year when Russia increased defense spendings by 5.4%. It is the annual comprehensive update by Stockholm International Peace Research Institute (SIPRI) that again places Russia among the top three nations on military spendings. Russia’s defense budget increased to $69,2 billion in 2016. The country’s defense budget has grown by 87% over the last 10 years and now counts for 4,1% of the global spendings on arms. Only China and United Arabic Emirates had a larger growth since 2007, with 118% and 123% respectively. The Russian military sector now counts for 5,3% of the country’s GDP, the highest proportion since Russia became an independent state 25 years ago. The five biggest arms spenders in 2016 were USA, China, Russia, Saudi Arabia and India. United States alone spends $200 billion more on its military than the four next on the list combined. Although 4,8% decrease in defense spendings from 2015, the United States still spent $611 billion on weapons and soldiers last year. That is more than one third of the total global military spendings. SIPRI underscores that all 28 NATO countries’ military spending was still over 12 times more than Russia in 2016. SIPRI reports that as a result of an unexpected increase in Russia’s military expenditure late in 2016 and large cuts to Saudi Arabia’s military budget, Russia climbed to the position of the third largest spender. The sharp increase comes at a time when the Russian economy is in serious trouble due to low oil and gas prices and the economic sanctions imposed since 2014. «It was originally expected and planned that the Russian Government would reduce its spending, including military spending. However, late in 2016 actual spending was pushed substantially higher by a decision to make a one-off payment of roughly $11,8 billion in government debt to Russian arm producers,» the SIPRI report reads. Without this debt repayment, Russia’s military spending would have decreased by 12%. Much of the costs are related to new-buildings of naval vessels, including submarines for northern waters. Talking about the Northern Fleet last week, Defense Minister Sergey Shoygu said 95% of all naval soldiers under command of the fleet now serve on contracts, the Defense Ministry’s report from the meeting reads. Shoygu praised the successful voyage of the combat group from the Northern Fleet to Syria this winter, lead by aircraft carrier «Admiral Kuznetsov» and followed by the voyage of the anti-submarine warship «Severomorsk» to ports in Africa. 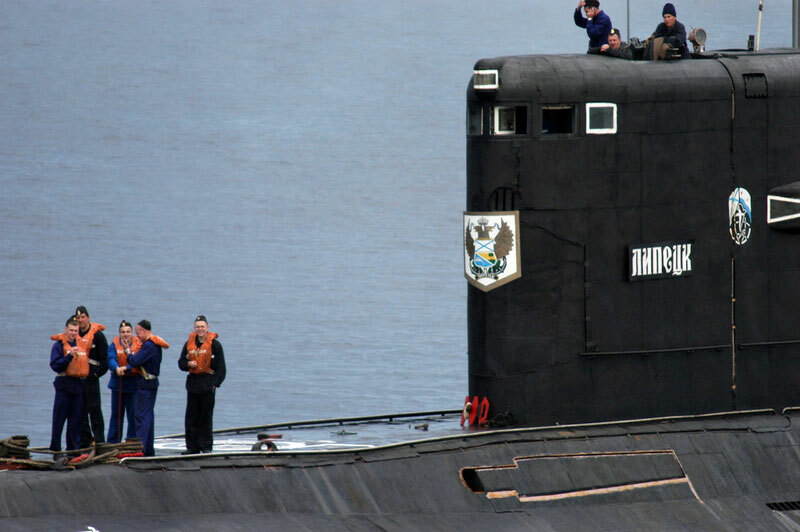 The Northern Fleet last year also had the first combat mission with the new nuclear powered submarine «Severodvinsk», one of the new strategic submarines of the Borei-class made a patrol under the Arctic ice-cap and the frigate «Admiral Gorshkov» successfully test-fired Calibr and Onyx cruise missiles.